This is the most recent addition to the TSC Group Of Restaurants and it comes with a lovely story behind its inception. 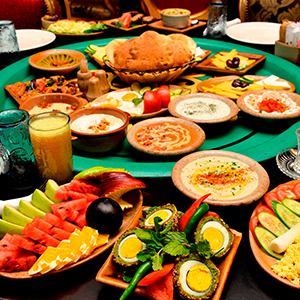 In Fatimid, Cairo, lived a poor but generous man, who developed a reputation as the master of Egyptian hospitality, impressing even the Sultan with his delicious culinary creations. 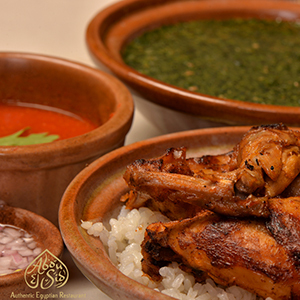 The man became known as Abou El Sid and his recipes remain celebrated today in our restaurant. 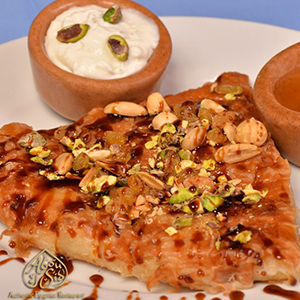 Abou El Sid is ‘the’ quintessential experience of authentic Egyptian food and hospitality. Be instantly transported back to a rich and glamorous Egyptian golden era, with evocative music, rich aromas, and a tranquil atmosphere. It’s a place locked in time and space, where you will be treated like a Pharaoh.